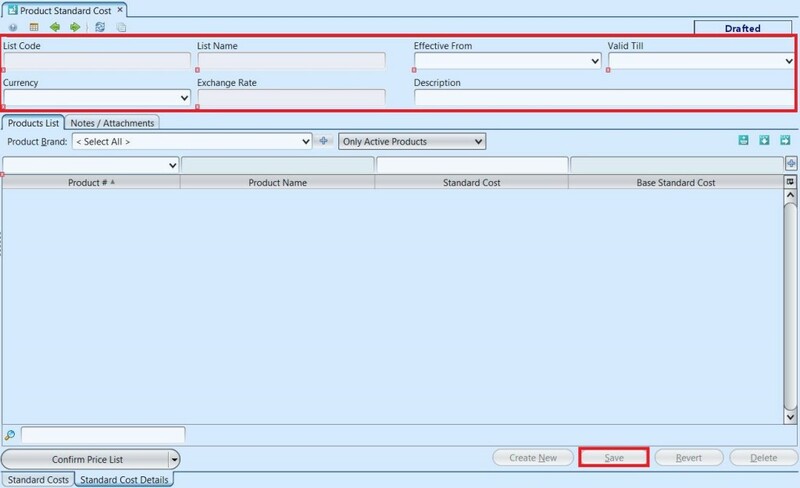 Note: Samooha allows user to create and maintain multiple Standard Costs for the same product, in different currencies for the same period. 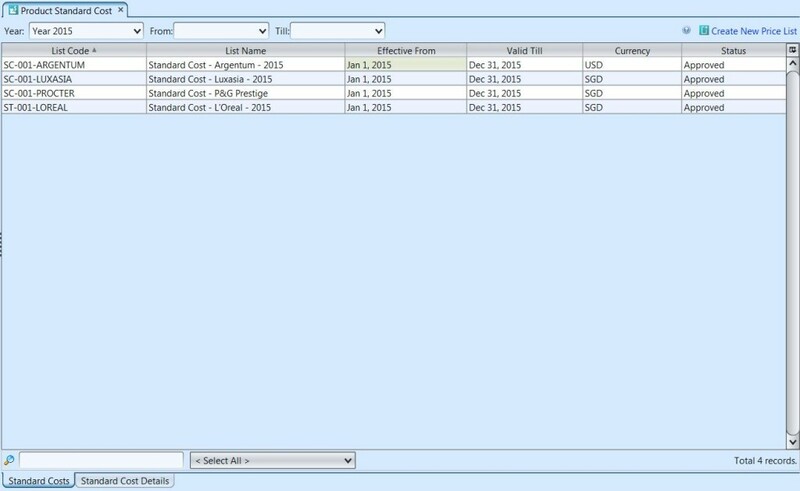 In this case, user should ensure the Base Standard Costs’ in the multiple lists are of the same values or as close as possible. 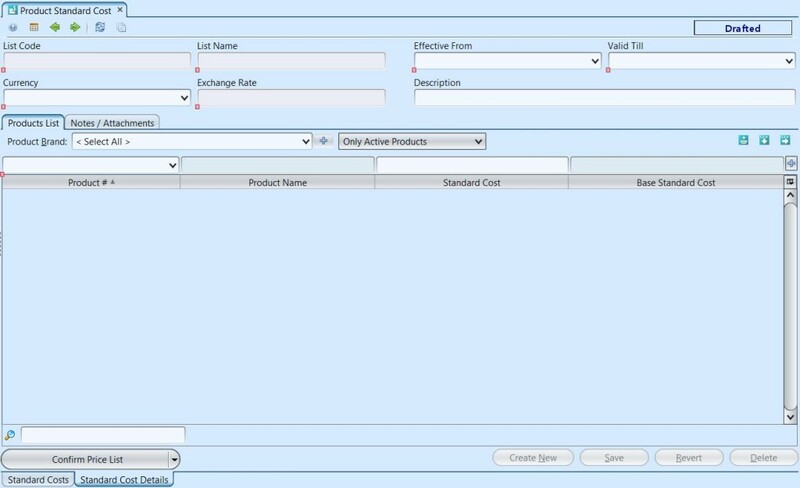 Create new product standard cost, update and delete product standard cost details. 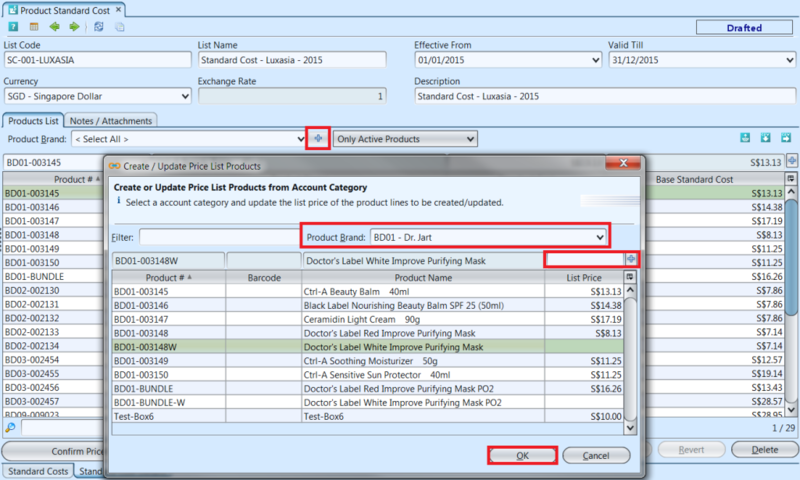 View and search for product standard cost. Note: Samooha allows user to create and maintain multiple Standard Costs for the same product, in different currencies for the same period. 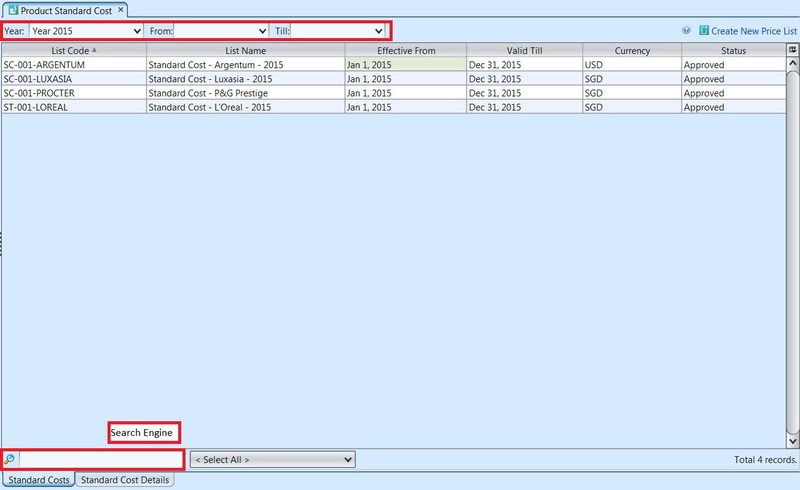 Please ensure that the Base Standard Costs’ in these multiple lists are of the same values / as close as possible.